Hop along this magic carpet ride to Japan as we fly into a world of dungeons, magic, and an ever-changing landscape in Magi: Labyrinth of Magic. Destiny is a fickle subject. It’s something that we as humans, philosophers, clerics, whomever have pondered for centuries, never definitively understanding or confirming. Are we tied to our fate that is supposedly pre-determined? Do we question it? Are we able to alter it? Should we try to alter it? What if us trying to question and alter our fate is our fate? It’s not a subject that has an answer; it’s completely subjective from person to person. However, in Shinobu Ohtaka’s manga Magi: The Labyrinth of Magic she aims to answer the long-running question of destiny and whisks readers away to a world of magic, politics, fantasy, and war. A-1 Pictures and director Koji Masunari have adapted Ohtaka’s work into a 50-episode production that has been a critical success, and now that the manga has entered its final arc, I’ve decided to hop aboard a magic carpet and explore Magi to examine the treasures found within. Magi is an alternative representation of the Old World (Africa, Europe, Asia) with obvious locales and archetypes standing out like Egyptian and Chinese and Mongolian. It’s a sprawling world that the characters will explore at various times throughout the series, rife with dangers like thieves, corrupt monarchies, and magical castles called ‘Dungeons’ containing treasures and more. 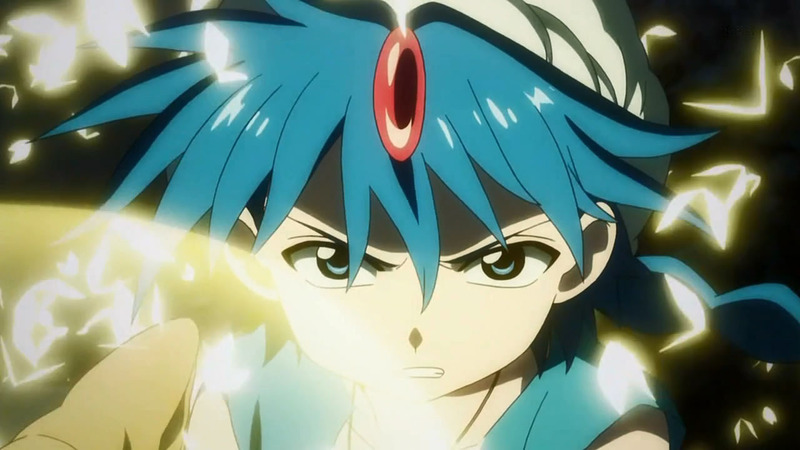 Magi is almost always focused on one of two main characters: Aladdin and Alibaba. Aladdin is a powerful but naïve enigma who is happy exploring, eating various foods, and making new friends. He usually abhors fighting, however he’s more than capable of holding his own and can defend himself and his friends. Conversely, Aladdin’s antithesis is Alibaba who will use force and strong-arm tactics to ensure victory. He’s not a bad person, it’s just remnant of his childhood and pedigree. 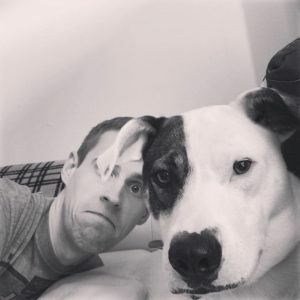 Upon joining forces, the two are almost inseparable, and despite never seeing eye-to-eye all of the time, it would seem their fates are indefinitely intertwined. The remainder of the cast steadily grows over the series from enemies, friends, and everything in between. 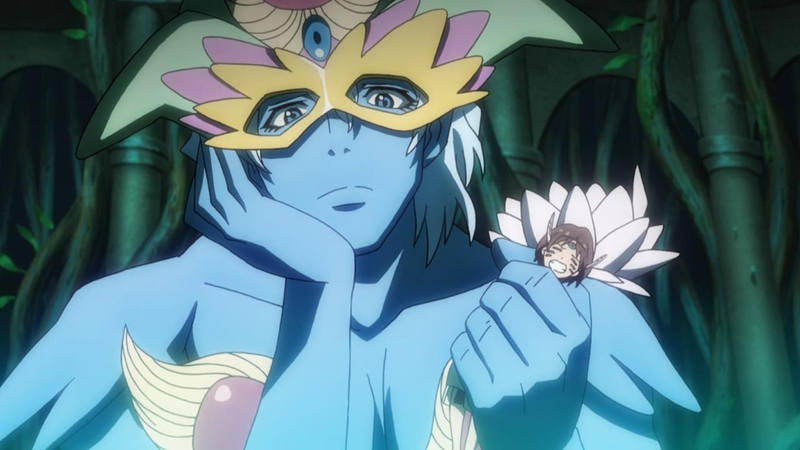 Many different cultures and understandings are presented through Magi’s cast. 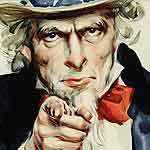 Topics range from slavery to corruption to death and reincarnation. Magi is hardly a pleasant series most times, and each arc is rampant with messages and lessons to take away from them. It’s not heavy-handed though, which is always wonderful since a lot of shows dealing with taboo or objectionable content often like to hammer in the importance of why something is bad, and why their views on abolishing are right and just. Magi can get quite verbal and often end a battle with words rather than violence. It’s an invigorating spin for the demographic, and one could argue that Magi’s presentation can span multiple demographics. The story spends a bulk of the first half of the first series dedicated to establishing its characters. The world is slowly explored more and more as the plot progresses, but with Magi: The Labyrinth of Magic Ohtaka seems to implore that her characters are the focus, not the world. We get teases of the series true antagonists trickled to us often as quick moments or as prologues to most arcs. If there is one flaw I’d give a series like Magi that has a massive cast and often name-drops many of them: it’s that once the story has established itself and we’re more than halfway through it, it’s simply a lot to keep track of sometimes. Perhaps it’s a fault of my own, because I would read/watch Magi in addition to several other series back-to-back-to-back-to-back, but Magi is a dense series with a number of self-referential elements that require a bit of understanding than most other series in this demo. Kingdom is another series similar to Magi, only even denser and even more jam-packed with various characters referenced throughout. (God, Kingdom is terrific, I cannot wait to talk about it one day). Magi’s real strength in its first series comes from its ability to shake clichés and tropes almost entirely. It is still a shonen series to its core, but rather than continuously overcoming hardships through willpower and other tired nonsense, there is often thought involved in the battles and skirmishes. Aladdin and Alibaba are level-headed and rarely rush into a fight without considering most outcomes, and then deciding the more logical, occasionally the non-violent one. It’s a particular charming trait of Magi I’ve come to respect and enjoy. But there do come times when they simply must get their hands dirty and simply talking it out won’t suffice. Magi’s art is so ornate that it’s often awe-inspiring. I’ll often linger on pages taking it all in, and the anime does its best to match the manga. Obviously the anime’s budget prevents it from being one hundred percent accurate to the source material, and A-1 Pictures have handled it well. 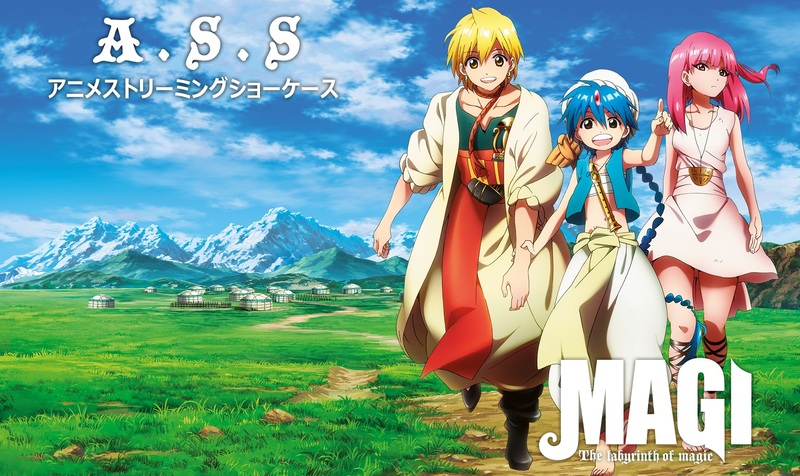 Magi’s first series spans approximately the first 110 chapters of the manga, while its sequel series (Magi: The Kingdom of Magic) adapts just fewer than 90 chapters but is still thick with the same Magi goodness. The manga is currently in the middle of its final arc, and I can only imagine more anime content is on the horizon, but as of this time, there is no none indication other than presumption. You can find Magi: The Labyrinth of Magic and Magi: The Kingdom of Magic at the usual streaming sites: Hulu, Crunchyroll, and Netflix. 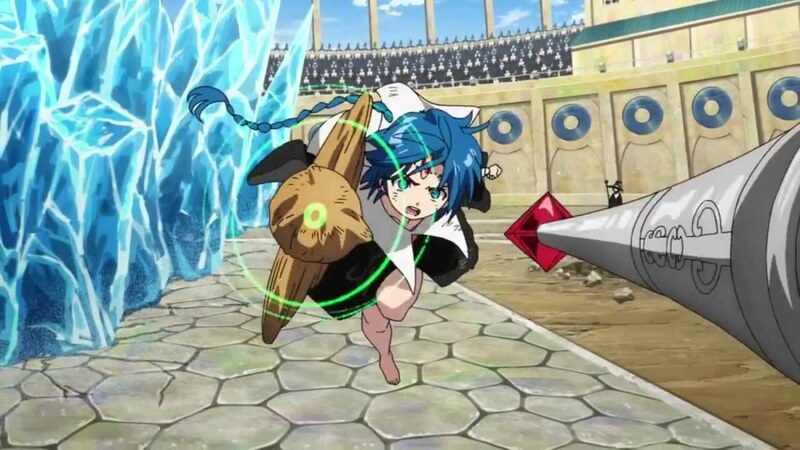 If you’d like a more cerebral, often exploratory adventure, Magi is the series for you. Anime or manga, both mediums are terrific avenues to explore all that Magi has to offer. 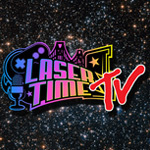 Watch Us Play Trials of the Blood Dragon LIVE at 3PM PT! Movie Review: Pirates of the Caribbean: Dead Men Tell No Tales! Looks real nice and sounded like a nice change of pace, will have to check this out thanks for the look! It starts off rather by-the-books shonen, but it then it continuously subverts the genre splendidly.